Orange oil is derived from cells within the rind. 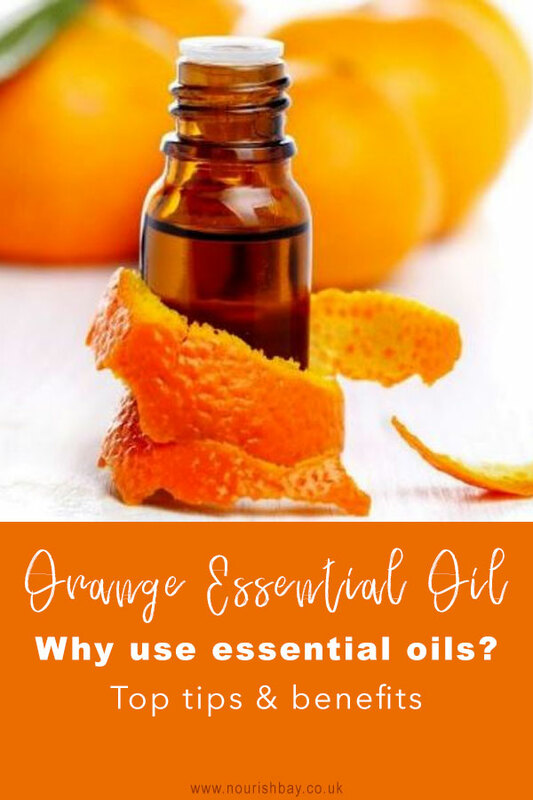 It contains the compound Limonene which is responsible for its beautiful aroma, making it ideal as a fragrance for beauty products such as perfumes, lotions and creams as well as household cleaners. The oil is also antibacterial. A study carried out by the Journal Of Food Science shows that the citrus nature of orange oil exhibited inhibitory activity against the salmonella. These antibacterial qualities make it usable for acne treatments and mouthwashes. Orange is an excellent source of vitamin C, 100g yields about 64% of the Daily Value. In addition the fruit also has good antioxidants which are essential for humans. Oranges also contain phytochemicals, flavonoids and volatile organic compounds. These antioxidants prevent the formation of free radicals that results in oxidations and faster aging. The presence of hesperidin and pectin helps in lowering bad cholesterol. The peel can be dried and ground to a powder to be used in beauty treatments. It can add a glow to skin as well as reduce dark spots and blemishes. The nutrients that oranges contain make them beneficial for hair stimulation and growth whilst reducing dandruff. Acne: The levels of citric acid in oranges are effective in drying up acne and removing blackheads. The antibacterial oil fights off acne casing and inflammation bacteria. Anti aging: Its high levels of vitamin C help heal and protect skin from free radicals like UV rays. Its oil encourages collagen production and can reduce fine lines. It is also a natural lightening agent and helps with dark blotches and spots. Oiliness: the citric acid reduces skin oiliness and pimples. It is suitable for dry skin. it can help open pores and keep skin clean ready for moisturisation.